Restrictions on Use of Materials: Materials in this website are Copyrighted and all rights are reserved. Text, graphics, databases, HTML code, and other intellectual property are protected by US and International Copyright Laws, and may not be copied, reprinted, published, reengineered, translated, hosted, or otherwise distributed by any means without explicit permission. All of the trademarks on this site are trademarks of This company or of other owners used with their permission. Database Ownership, License, and Use: This company warrants, and you accept, that This company is the owner of the copyright of the Databases of Links to articles and resources available from time to time through This company. This company and its contributors reserve all rights and no intellectual property rights are conferred by this agreement. This company grants you a non-exclusive, non-transferable license to use database(s) accessible to you subject to these Terms and Conditions. The database(s) may be used only for viewing information or for extracting information to the extent described below. You agree to use information obtained from This company's databases only for your own private use or the internal purposes of your home or business, provided that is not the selling or broking of information, and in no event cause or permit to be published, printed, downloaded, transmitted, distributed, reengineered, or reproduced in any form any part of the databases (whether directly or in condensed, selective or tabulated form) whether for resale, republishing, redistribution, viewing, or otherwise. Nevertheless, you may on an occasional limited basis download or print out individual pages of information that have been individually selected, to meet a specific, identifiable need for information which is for your personal use only, or is for use in your business only internally, on a confidential basis. You may make such limited number of duplicates of any output, both in machine-readable or hard copy form, as may be reasonable for these purposes only. Nothing herein shall authorize you to create any database, directory or hard copy publication of or from the databases, whether for internal or external distribution or use. Liability: The materials in this site are provided "as is" and without warranties of any kind either express or implied. This company disclaims all warranties, express or implied, including, but not limited to, implied warranties of merchantability and fitness for a particular purpose. This company does not warrant that the functions contained in the materials will be uninterrupted or error-free, that defects will be corrected, or that this site or the server that makes it available are free of viruses or other harmful components. 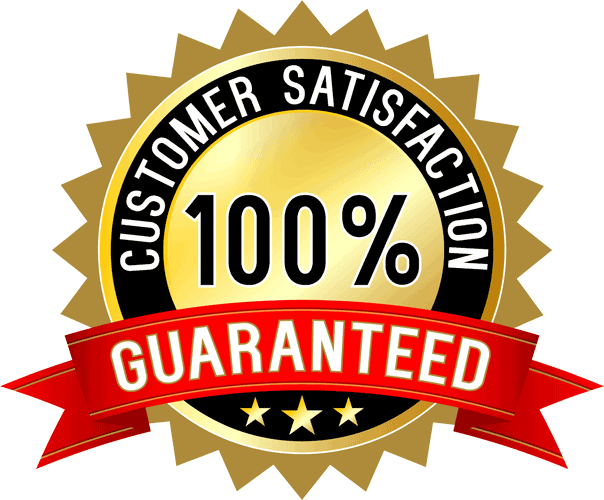 This company does not warrant or make any representations regarding the use or the results of the use of the materials in this site in terms of their correctness, accuracy, reliability, or otherwise. You (and not This company assume the entire cost of all necessary servicing, repair or correction. Applicable law may not allow the exclusion of implied warranties, so the above exclusion may not apply to you. Under no circumstances, including, but not limited to, negligence, shall This company be liable for any special or consequential damages that result from the use of, or the inability to use, the materials in this site, even if This company or a This company authorized representative has been advised of the possibility of such damages. Applicable law may not allow the limitation or exclusion of liability or incidental or consequential damages, so the above limitation or exclusion may not apply to you. In no event shall This company's total liability to you for all damages, losses, and causes of action (whether in contract, tort, including but not limited to, negligence or otherwise) exceed the amount paid by you, if any, for accessing this site. Facts and information at this website are believed to be accurate at the time they were placed on the website. Changes may be made at any time without prior notice. All data provided on this website is to be used for information purposes only. The information contained on this website and pages within, is not intended to provide specific legal, financial or tax advice, or any other advice, whatsoever, for any individual or company and should not be relied upon in that regard. The services described on this website are only offered in jurisdictions where they may be legally offered. Information provided in our website is not all-inclusive, and is limited to information that is made available to This company and such information should not be relied upon as all-inclusive or accurate. Links and Marks: The owner of this site is not necessarily affiliated with sites that may be linked to this site and is not responsible for their content. The linked sites are for your convenience only and you access them at your own risk. Links to other websites or references to products, services or publications other than those of This company and its subsidiaries and affiliates at this website, do not imply the endorsement or approval of such websites, products, services or publications by This company or its subsidiaries and affiliates. Certain names, graphics, logos, icons, designs, words, titles or phrases at this website may constitute trade names, trademarks or service marks of This company or of other entities. The display of trademarks on this website does not imply that a license of any kind has been granted. Any unauthorized downloading, re-transmission, or other copying of modification of trademarks and/or the contents herein may be a violation of federal common law trademark and/or copyright laws and could subject the copier to legal action. Confidentiality of Codes, Passwords and Information: You agree to treat as strictly private and confidential any Subscriber Code, username, user ID, or password which you may have received from This company, and all information to which you have access through password-protected areas of This company's websites and will not cause or permit any such information to be communicated, copied or otherwise divulged to any other person whatsoever. To the extent you have in any manner violated or threatened to violate This company and/or its affiliates' intellectual property rights, This company and/or its affiliates may seek injunctive or other appropriate relief in any state or federal court in the State of Texas, and you consent to exclusive jurisdiction and venue in such courts. Any other disputes will be resolved as follows: If a dispute arises under this agreement, we agree to first try to resolve it with the help of a mutually agreed-upon mediator in the following location: DFW Metroplex, Texas. Any costs and fees other than attorney fees associated with the mediation will be shared equally by each of us. If it proves impossible to arrive at a mutually satisfactory solution through mediation, we agree to submit the dispute to binding arbitration at the following location DFW, Texas under the rules of the American Arbitration Association. Judgment upon the award rendered by the arbitration may be entered in any court with jurisdiction to do so.